Last Sunday, we decided to use our free passes to the OC Market Place. I love that place. It’s fun to just walk around in the nice weather and check out all the vendors. For the fifteen or so years that I’ve been going there, I really took notice on how much the place has changed. It’s not as crowded as it used to be, both in terms of customers and vendors. It used to be so lively that I couldn’t see past the crowd of people right in front of me. Some of the long time vendors are no longer there. But one thing hasn’t changed – the produce vendors! Here’s the tip: go at the end of the day on Sunday and all of the food vendors will drop their prices so they don’t have to bring the food home and let it rot until the next weekend. 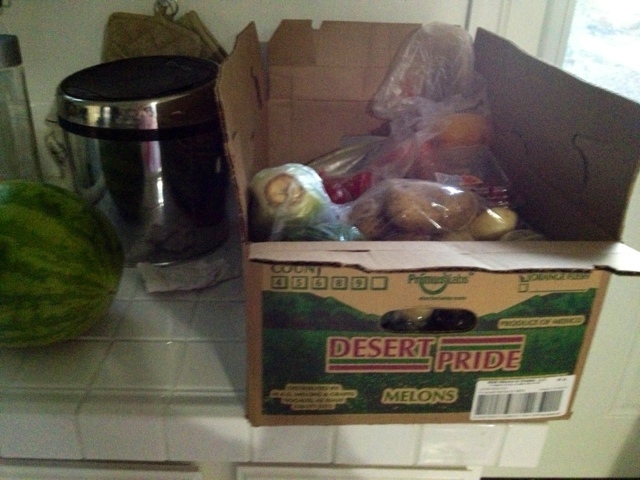 We bought this whole box of produce and the watermelon on the left for eleven dollars. 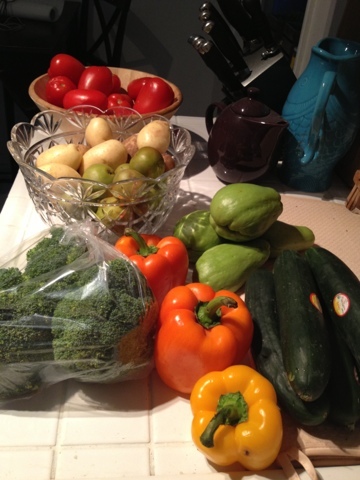 All the produce here was a bag for a dollar. All the cucumbers, a dollar. The three bell peppers for a dollar. Bag of brocolli for a dollar. 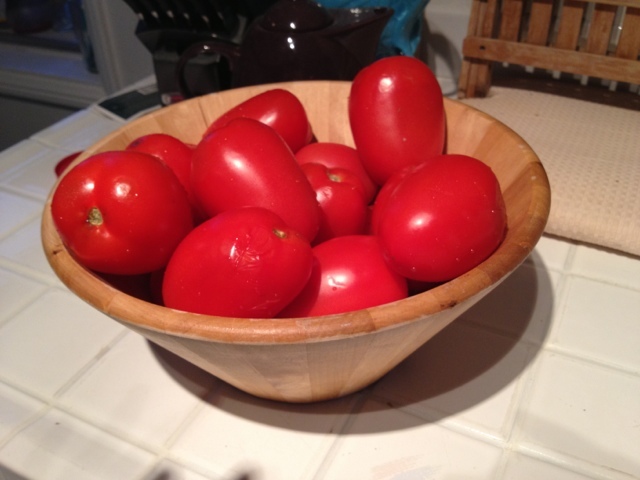 A bag of tomatos, a dollar. 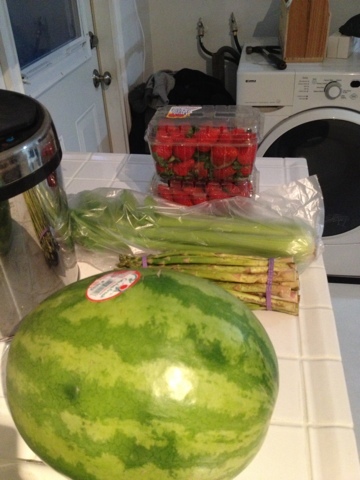 The seedless watermelon was a dollar. The strawberries wasn’t that cheap, but it was a box for a dollar fifty. I forgot already, but I think the asparagus was 75 cents and the celery was 50 cents. 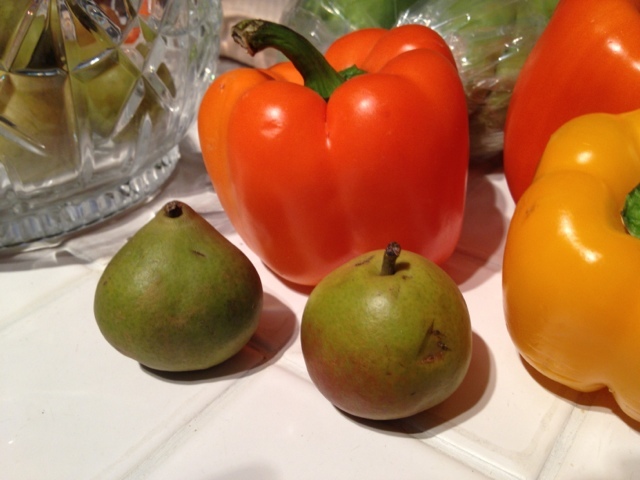 These mini pears was a bag for a dollar. This entry was posted in GreatFinds.